On February 26 at 7:10am Google Maps published a tweet seen ‘round the world—or at least in fanatic Android circles. 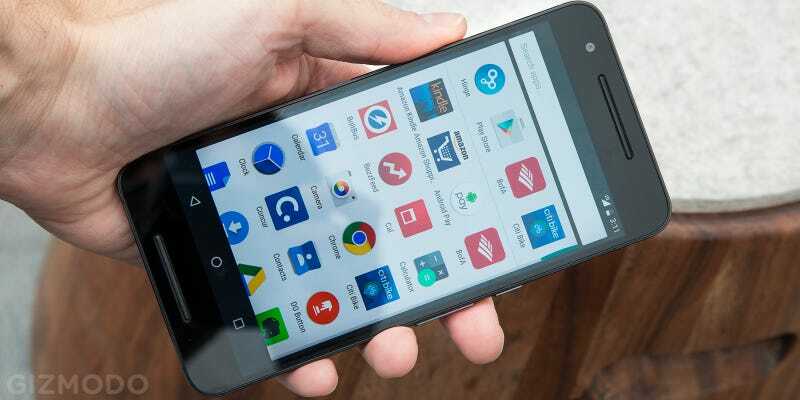 The tweet included a purported leak that shows a build of Android missing a critical feature: the app drawer. For the unfamiliar, the app drawer is a uniquely Android feature that keeps all the software tucked away from the home screen. It’s mostly seen as a useful tool to help keep Android phones organized. When watching the very, very beginning of the Maps’ small clip above, you’ll see that the familiar circle icon that brings up the app drawer is missing completely. And there are many, many, many more tweets where that came from. Google has since said that the video was an inaccurate mockup, and that it doesn’t represent any future Android updates. But it does little to temper fears that it may soon be an endangered Android feature, because the app drawer’s been disappearing for awhile now. Phone makers, like LG, Samsung, and Sony, have been toying with ways to eliminate the Android app drawer, effectively priming the hysteria pump for this unfortunate Google slip up. On the LG G5, the app drawer is completely missing and a Samsung Galaxy Labs option also lets you delete the drawer if you want. I’ve even noticed on smaller Android releases, like Nextbit’s Robin, have also deleted the app drawer (though the phone does comes with the Google Now launcher pre-installed.) Combine this slow disappearing act with the fact these same Android makers (Nextbit excluded, that phone is just plain weird looking) are inching perceptively closer to being more and more iPhone-like in material and design, and it’s understandable that some Android fans are sensing a hostile software takeover. Here’s the thing: the apps drawer is one of the biggest differentiating factors between Android and Apple iOS. Where Apple has always designed its mobile OS to have every single app on the homescreen, Android has always taken a different approach. After all, you wouldn’t put every single app you download on a desktop screen, so why would you want to clutter up your smartphone in the same way? The Android app drawer is a way to keep things like icon packs, launchers, and other app debris out of sight. It fulfills Android’s ultimate promise of customization, which is why the rumor of its demise is equally confounding. Google, of course, could always just make it optional, following instep with LG and Sony. Similarly, woe-filled Android users could just install an app drawer-friendly launcher, of which there are several. But such an idea would ultimately concede that iOS was right from the very beginning, and I don’t know if you know this, but Android fans don’t like conceding that iOS does anything better. For now, Google says that the App Drawer Freakout of 2016 is misplaced mayhem. Of course, they wouldn’t tell us one way or the other until they show off Android N at Google I/O in May. Either way, it’s becoming increasingly clear that the companies making Android phones think iOS might be onto something. We’ll see if Google feels the same way in a couple months.